The Emirate of Qatar is the only country with which India has a long-term energy import agreement. Under a deal signed in 2004, Qatar is committed to supplying 7.5 million tonnes of natural gas per year to India for 25 years. After the international oil prices tumbled in mid-2014, Qatar agreed to the Indian request for re-negotiating the price for LNG, thus, enabling the latter to save US$588 million (Rs 4000 crore) for its import of LNG from the Emirate. This was in contrast to the demands of some of the other countries which sought an upward revision of gas prices when the oil prices rose. This gesture underscores the importance Doha attaches to India and was crucial in the wake of the Qatari crisis, which unnerved many countries in the Persian Gulf and beyond. 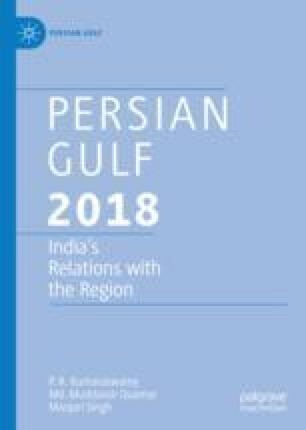 Though the Saudi-led politico-economic boycott of Qatar had no direct impact upon the Indo-Qatari relations, it would be difficult for New Delhi to maintain its neutrality should the crisis escalate. In such a situation India might revise its non-interventionists policy and try to be a facilitator of a Saudi-Qatari dialogue.